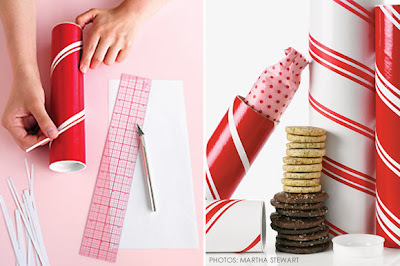 With all of the fabulous holiday eye candy on the web these days, I figured I would end the week with some of my favorites. I have been under the weather for the past few days, which leads to lots of blog reading - one perk of being sick! 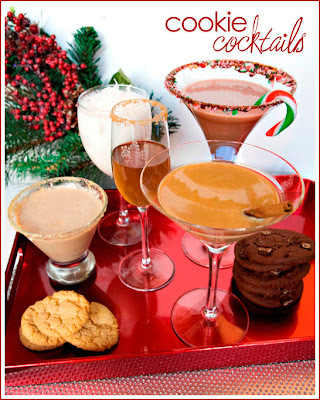 Let's take a look-see through holiday blogland, shall we? 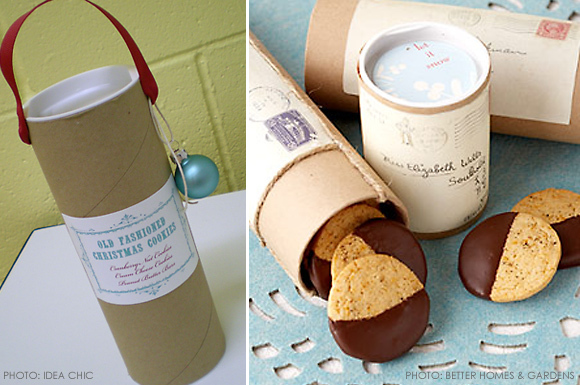 Sending cookies in the mail? Kim Vallee featured this easy idea on her blog - send cookies in decorated mailing tubes! These ideas come from Better Homes and Gardens and Martha Stewart. Click HERE for Kim's entire post. Next up is one of my favorite bloggers, in fact one of the first bloggers I ever started reading back in the day. It's Chris from Celebrations at Home - if you don't know her, you have been living under a rock as they say :) Check her out for daily inspiration. 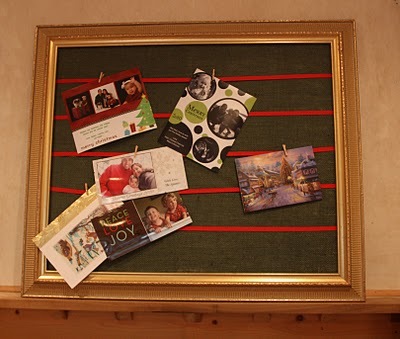 Chris answers the age old question, "What do to with all those holiday cards piling up?" 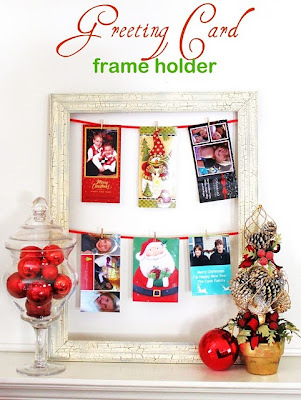 Chris used a picture frame to make a super creative, pretty and functional Card Display. Check out her post HERE. One of my other daily reads, the sweet Sandi from Oh Baby Shower Decor!, took a page from Chris' book and made her own frame card display - check it out HERE. 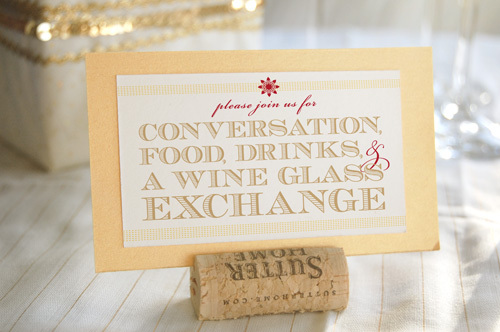 A wine glass exchange party - an inventive idea on the "exchange party!" 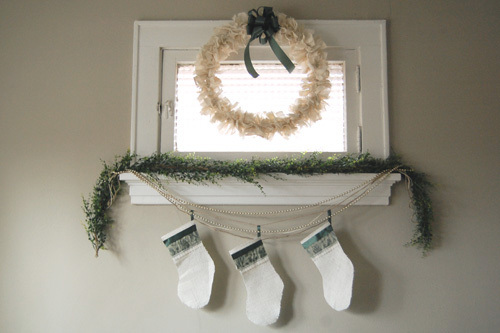 This DIY Wreath is fabulous - so easy and could be used for any season with any color! 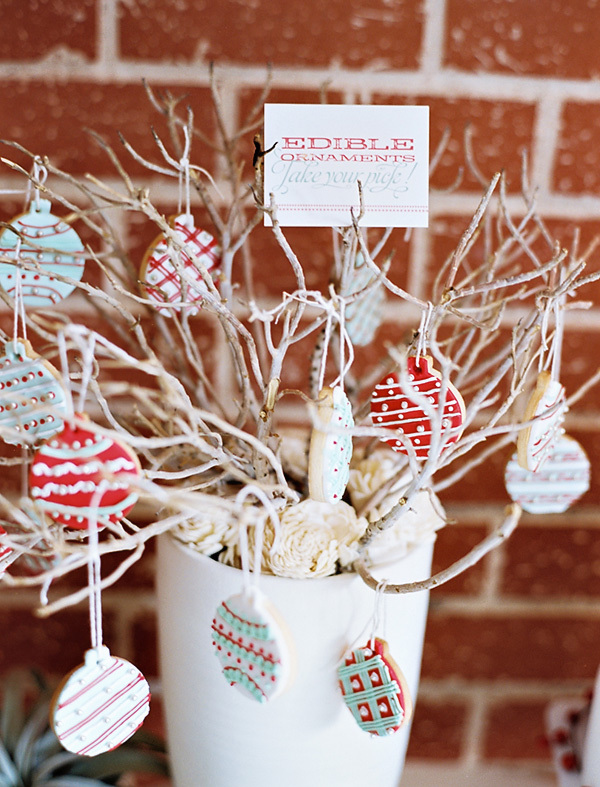 From the always fantastic Hostess with the Mostess, check out their feature that includes a tree with hanging ornament cookies! 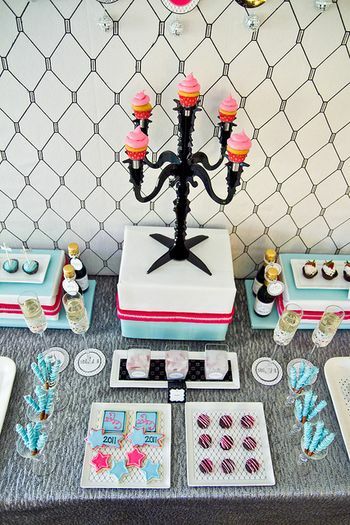 This would make a great centerpiece for a dessert table! One more from Hostess with the Mostess, who made her own Candy Cane cakeballs! 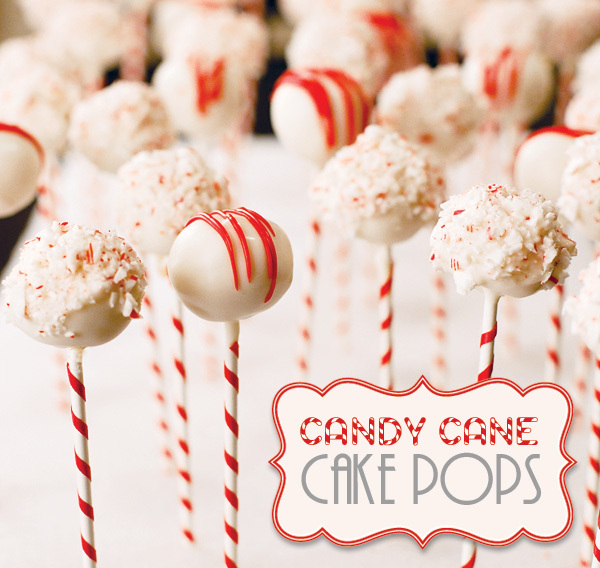 Inspired by Bakerella, Jen put her own fabulous twist on these by adding a red ribbon stripe to the lollipop sticks! Impress your guests and make these fun treats! Let's look forward to New Year's Eve, shall we? For inspiration, you MUST check out Social Coutore's recent New Years post. My favorites? the pink clock cookies and candelabra with cupcakes! 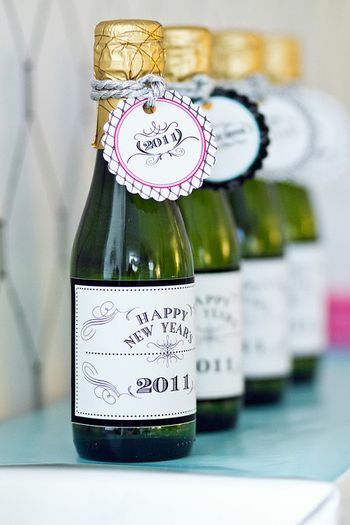 Be sure to head to their site to purchase all of these New Years Eve party printables! 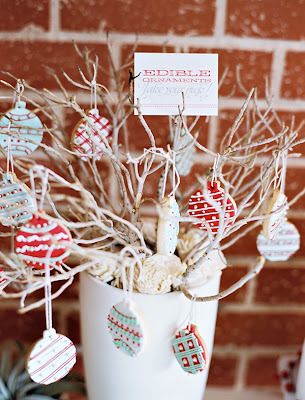 And finally, guess what I found on one of my favorite blogs today, Bon Bon Rose Girls? Me! 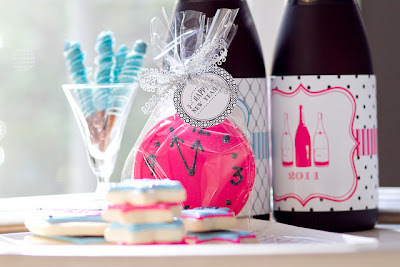 Thanks to the lovely Kristin, my pink and green cookie party was featured! Thanks so much Kristin - check out Bon Bon Rose Girls for fabulous fashion and style tips, plus much, much more! One more weekend before Christmas - good luck heading out in the holiday rush the next few days! 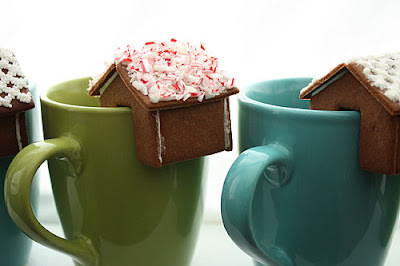 Oh my, those teeny houses are adorable! 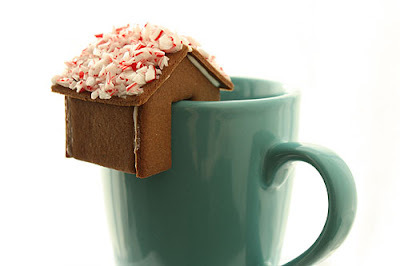 That would take some VERY strong icing. Great Friday post Jackie! Love those little houses. And I am so into that idea for the cards in the picture frame too! Fantastic. Those gingerbread houses on the mugs are outrageous! Who thinks of these things? And I saw your party on Bon Bon Rose Girls. Nice job, Jackie! Thanks for the shout out! And I'm cape pop obsessed now. Had a red velvet one this weekend and it was most delish! Thanks Jackie! You're the bestest! & I love your round-ups...they always include a few of my favs and a few I haven't seen yet.